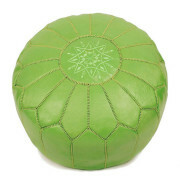 Premium grade leather is used to make these poufs. 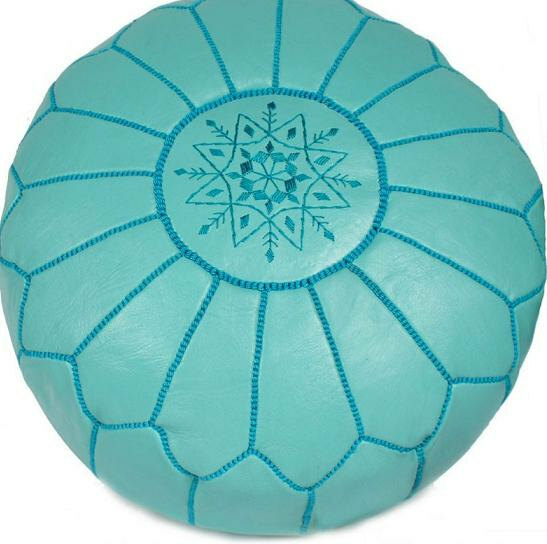 Natural leather is tanned by our highly skilled Artisans who use passed down centuries old traditional methods in the tanneries of Marrakesh. 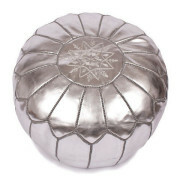 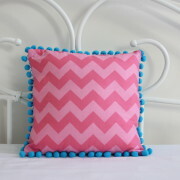 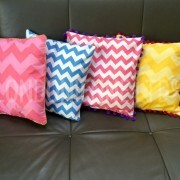 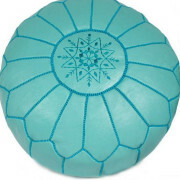 These Pouffes are made without using harmful chemicals. 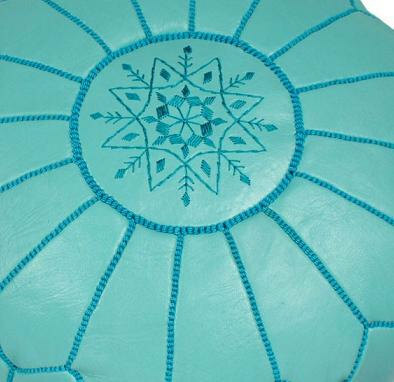 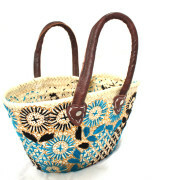 Beautiful hand-dyed and hand-stitched embroidered Leather pouffe. 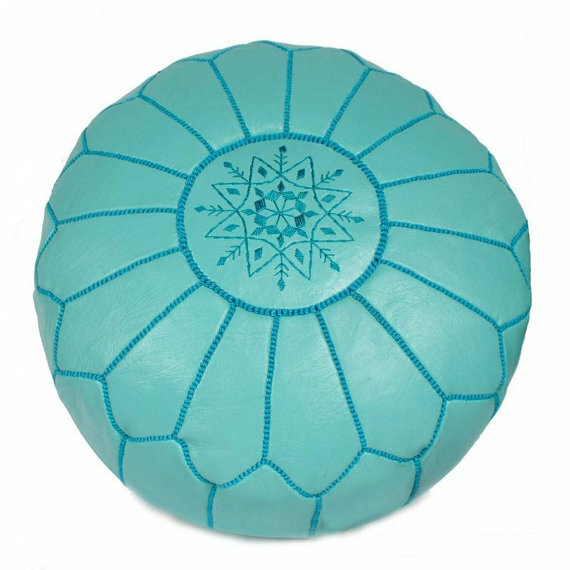 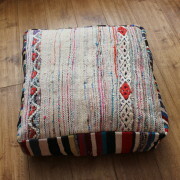 Since these poufs are tanned, handmade and hand-stitched using traditional Moroccan methods they may have slight variations in colour or pattern. 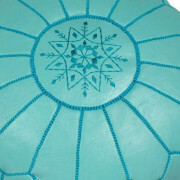 This makes each item usinque. The pouffe has zip up fastening underneath and comes unstuffed. 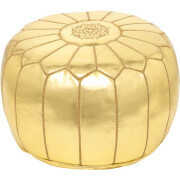 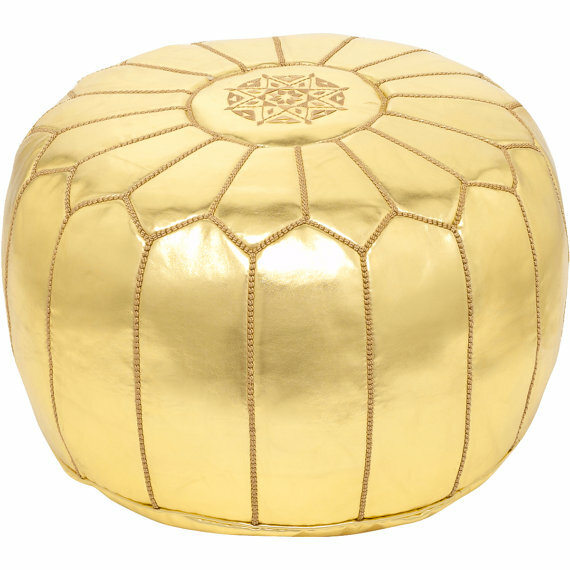 These versatile poufs will add style, elegance, texture and colour to any interior decor modern or traditional use as a footstool, seating, a table, scatter in a penthouse apartment, cosy up by a log fire in a country cottage, or for Indian summers outdoor dinning, group them around the pool for luxury poolside gatherings..